White House Press Secretary Sean Spicer is, for all intents and purposes, the public face of the Trump administration. 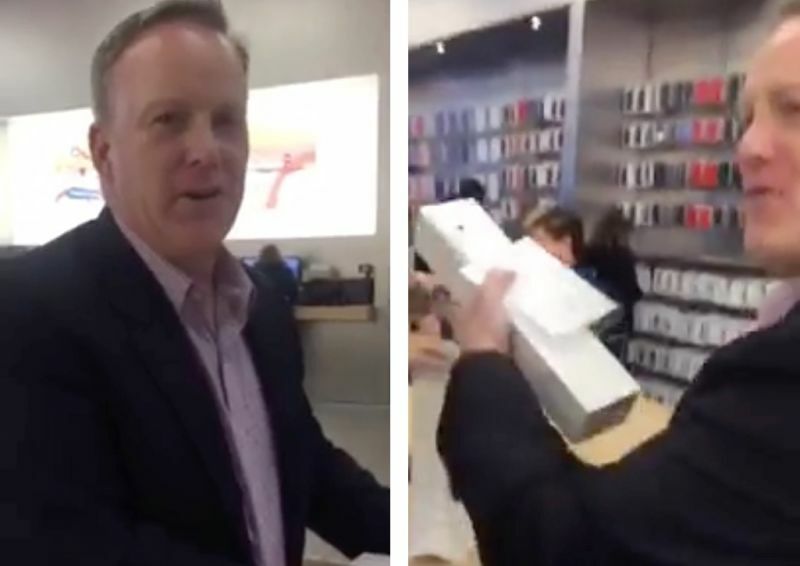 And that can clearly have its downfalls, as Spicer found out firsthand when he visited an Apple store this weekend. Spicer was shopping when a woman confronted him in the store. And to make it worse, she was filming the entire exchange. “How does it feel to work for a fascist?” she asked him. “Have you helped with the Russia stuff? Are you a criminal as well? Have you committed treason too, just like the president?” Spicer tried to keep his cool and simply responded, “Such a great country that allows you to be here.” He then continued his shopping, while trying to ignore the woman, who continued to follow him around the store.